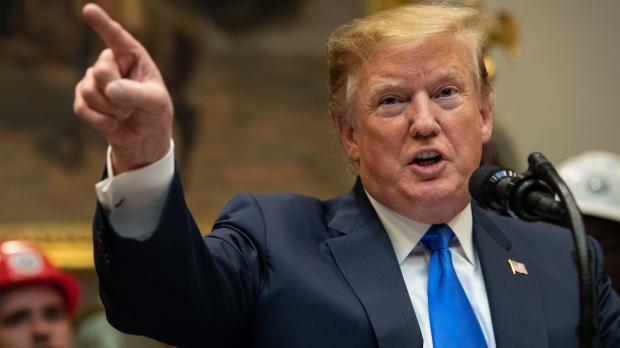 Democratic lawmakers on Saturday gave tax authorities a final deadline of April 23 to hand over President Donald Trump's tax returns, which Treasury Secretary Steven Mnuchin said the administration was considering. Democrats have seized on the issue of Trump's undisclosed taxes since taking control of the House of Representatives - citing a little-known law that allows Congress to review anyone's returns to conduct an investigation. "I am aware that concerns have been raised regarding my request and the authority of the Committee," House Ways and Means Committee Chairman Richard Neal said in a letter to Internal Revenue Service Commissioner Charles Rettig after an initial April 10 deadline lapsed. "Those concerns lack merit." On Wednesday, Mnuchin said the Treasury was handling the request and that a deadline set for that date would be missed, citing possible constitutional issues. But on Saturday, he said the administration would respond by the revised deadline. "I'm sure we'll respond by that deadline, not going to make a commitment prematurely whether we'll be able to conclude a legal review by that deadline," Mnuchin said. "We have people working on it diligently." Calling Neal's new deadline an "arbitrary" date, Mnuchin said the Democrats' request could set "enormous precedent in potentially weaponizing the IRS." Trump argues that he cannot release his tax returns because they are being audited, but the IRS has said this is no impediment to their release. "It is not the proper function of the IRS, Treasury or Justice to question or second guess the motivations of the Committee or its reasonable determinations regarding its need for the requested tax returns and return information," Neal said. "Concerns about what the Committee may do with the tax returns and return information are baseless." Neal gave the government until 5 pm on April 23 to hand over the tax records. "Please know that, if you fail to comply, your failure will be interpreted as a denial of my request," Neal wrote. The request looks set to trigger a protracted legal showdown. Trump broke with a long-established norm during the 2016 elections by refusing to release his income tax returns, as most presidents have done since the 1970s even though it is not required by law. Trump's acting chief of staff, Mick Mulvaney, asked last week whether Democrats would ever see the returns, was unequivocal. "Never," he said on Fox News Sunday. "Nor should they." Mulvaney asserted that since voters knew ahead of the 2016 election that Trump would not reveal his returns and then elected him anyway, the matter was "already litigated."